In May, Reuters reported that authorities in West Africa detained seven Chinese vessels for fishing illegally. In Guinea, Sierra Leone and Guinea-Bissau, inspectors boarded the ships to find violations of regulations relating to catching protected fish and using nets with small holes to facilitate bigger hauls. Boat owners could be subject to millions of dollars in fines. A recent study by Frontiers in Marine Science states that West Africa’s annual losses from illegal and unregulated fishing costs $2.3 billion. However, the consequences of illegal fishing travels far beyond this geography. From a global perspective, the World Wildlife Fund estimates that more than 85 per cent of the world’s fisheries are reaching their biological limits due to overfishing, due in part to illegal fishing and other regulatory problems. 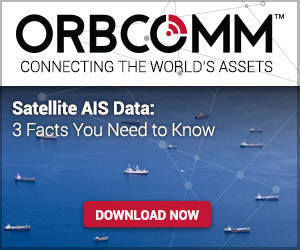 To turn this around, Global Fishing Watch—a collaboration by Oceana, Google and SkyTruth to end Illegal, Unreported and Unregulated (IUU) fishing—is using ORBCOMM’s extensive global satellite Automatic Identification System (AIS) data capabilities to help collect more than 22 million data points per day from hundreds of thousands of ships. With this information, anyone can monitor and track large commercial fishing vessels in near real time. 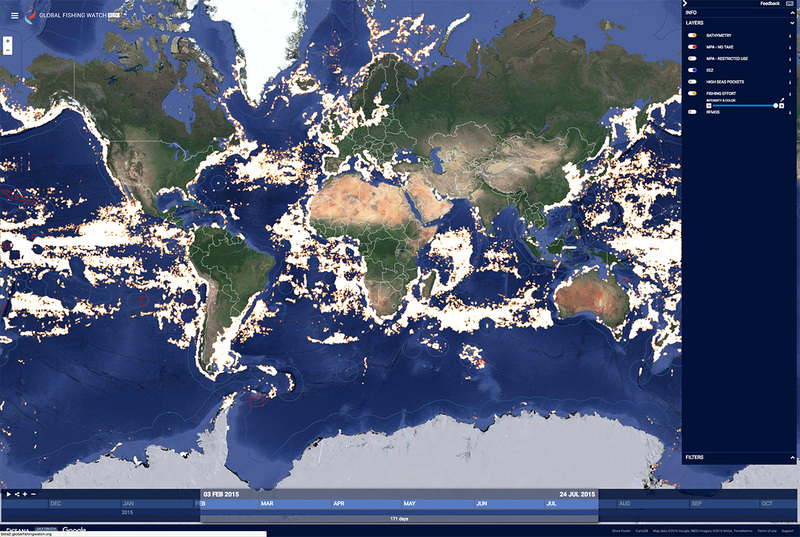 Global Fishing Watch can classify the time-stamped positional vessel data points as either “fishing” or “non-fishing” activities. This will have a critical impact on the commercial fishing industry’s accountability, environmental regulation compliance and seafood supply chain transparency. It also provides a tool to governments, non-government organizations (NGOs) and researchers for the enforcement of IUU regulations and Marine Protected Areas (MPAs). Learn more about Global Fishing Watch at www.globalfishingwatch.org. To discover the world of possibilities enabled by ORBCOMM AIS data, meet with us at GEOINT 2017 in San Antonio this week, or contact us anytime to talk vessel tracking with satellite AIS. Learn how Mexico’s National Commission on Aquaculture and Fisheries (CONAPESCA) uses ORBCOMM technology to maintain an electronic nautical mapping system with delimitations of the maritime waters, define and monitor geofences with defined rules of operation, broadcast notifications for emergency, area restrictions, fishing in a restricted zone etc., and track vessels that are in the water and disconnected or not transmitting their location.